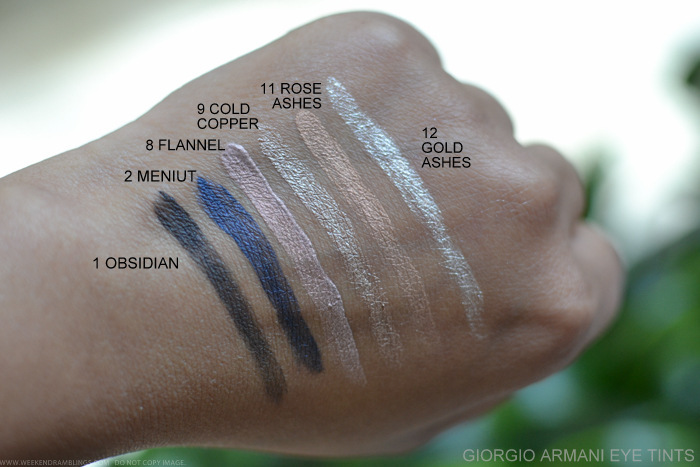 The Giorgio Armani Eye Tints remind me of a long since discontinued Chanel fluid eyeshadow. The formula is soft and easy to apply and dries down to a smooth finish. Love the packaging with the flocked wand applicator. My favorite shades would be Obsidian and Menuit, but if you prefer lighter/softer neutrals, any of the other colors would work great. 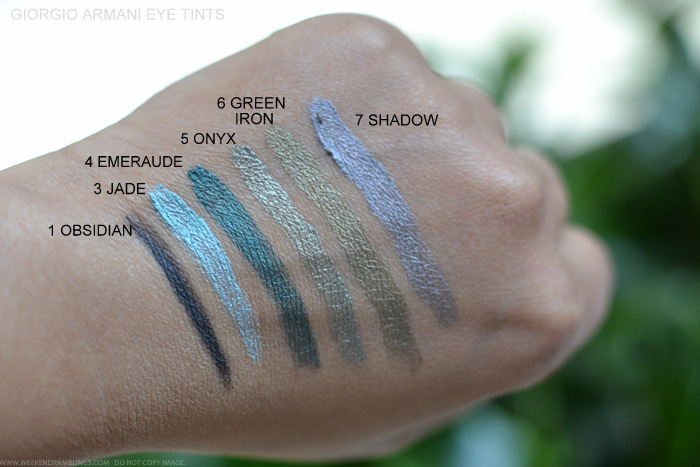 The swatches in the photos above are of the product applied directly with the wand, and this is how the color would show up if used as an eyeliner. Applied as an eyeshadow, this would leave more of a sheered out tint. 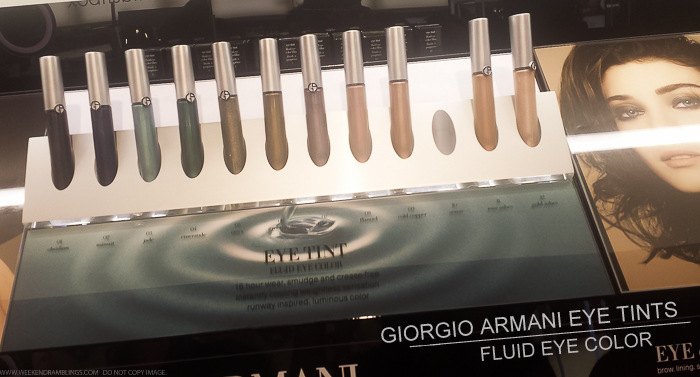 Giorgio Armani Fluid Eye Tints ($38 each) - available at Sephora.